Slice of Pi Quilts: Think Even Bigger! I will make a 2016 summary post at the end of the month, (I'm still sewing!) but I'll touch on a few things here. A specific goal that I set at the first of the year was to make 16 quilts in 2016. I actually made my 16th quilt in April! 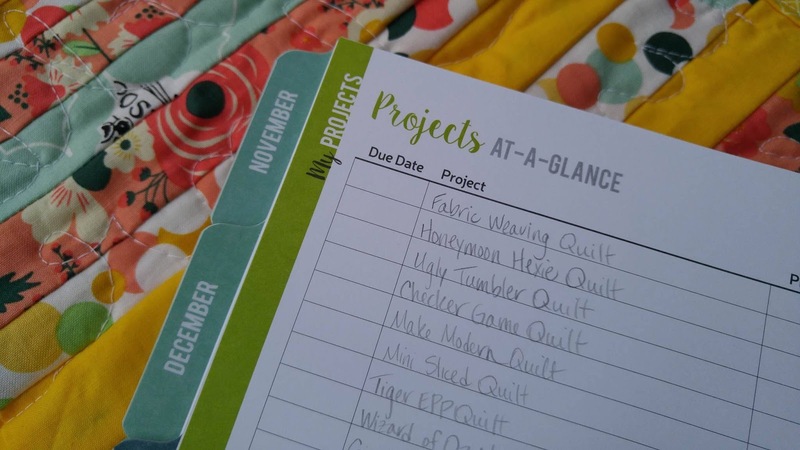 I'm on track to have made 38 quilts by the end of the year! (See my finished quilts here.) Think bigger? Check! As 2016 started, I began tossing the idea around of designing quilt patterns. In June, this became a reality! 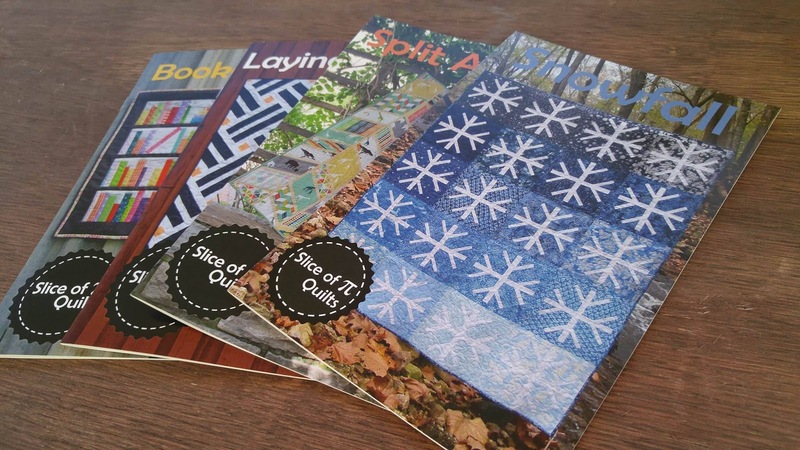 I initially wanted to sell them at the quilt shops near me, but after just a few weeks, I had patterns in quilt shops in multiple states across the country! 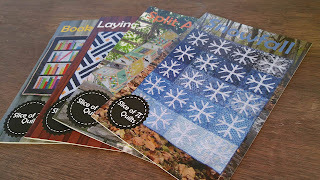 As the year comes to a close, I have four quilt patterns that are available by multiple distributors. Think bigger? Check! The "Think Bigger" theme even was prevalent in my personal life. I volunteered to plan the annual women's retreat at our church in September. We brought in a regional comedian and worship band, and it had highest attendance we've ever had! Think bigger? Check! I've thrown around a lot of ideas for Big Picture phrases and themes for 2017. But I keep coming back to how great the "Think Bigger" slogan was for me. Whenever I had a decision to make, I'd use the phrase to guide the path I chose. I feel it was very successful! So I'm going to stick with what works! 2017: Think Bigger. Dream Bigger. 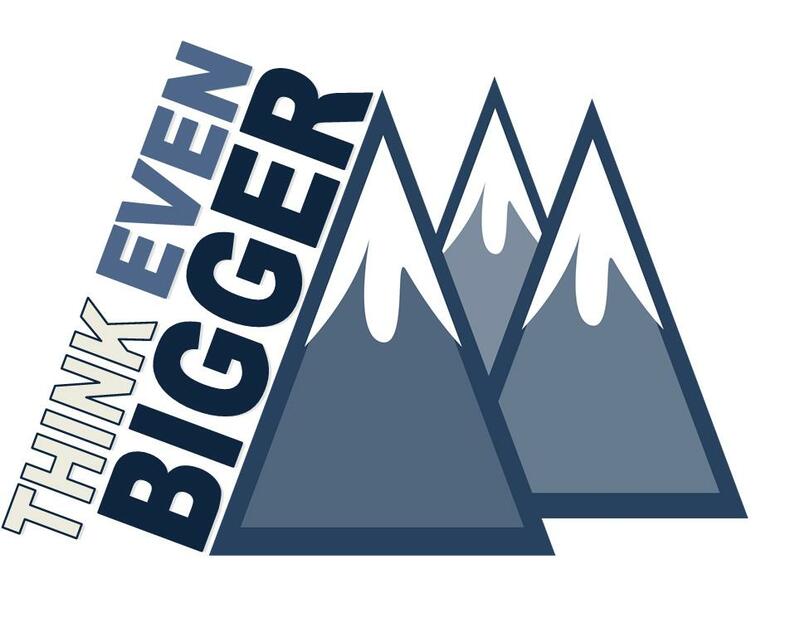 Think Even Bigger. Dream Even Bigger. I am going to start by setting the 17 Quilts in 2017 goal. Like this year, I hope to surpass the goal by leaps and bounds! But it helps me stay focused on projects and get them finished. Another theme that drives my quilting is "try something new." I've kept this mantra since completing my very first quilt. 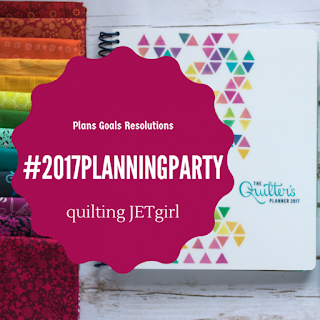 I have several quilts already planned for the year that follow this theme. I'm also hoping to try making a couple garments too! I want to continue to try things that are new to me and push the boundaries of quilting "rules." 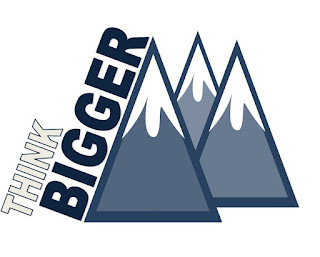 In terms of business, I'm not quite sure yet what "Think Bigger" and "Dream Bigger" will look like. 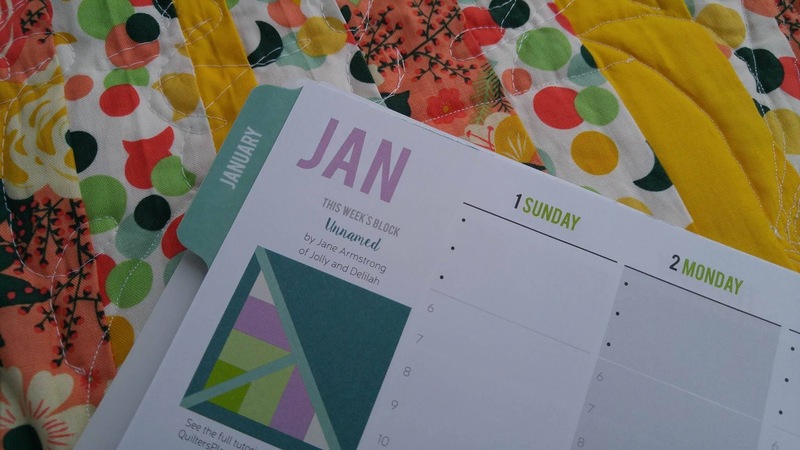 I'm starting with attainable goals of releasing six new patterns, sending monthly marketing emails, and having a couple quilts published in magazines. 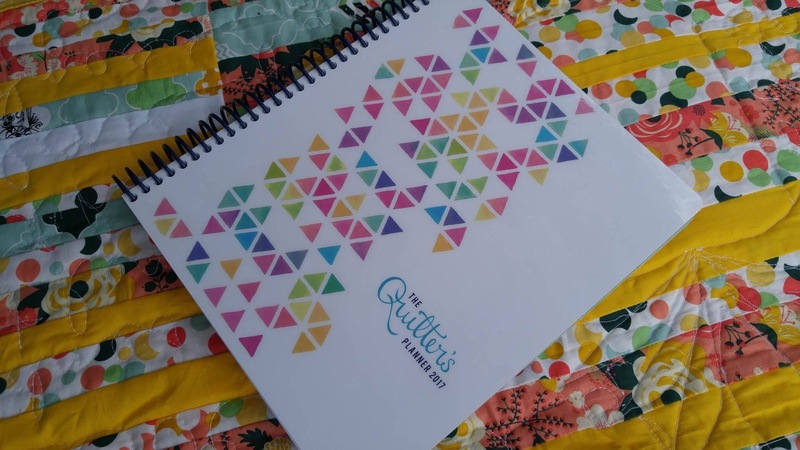 When I "Dream Bigger," things that come to mind are trunk shows at quilt shops, having a dedicated website where you can buy patterns directly from me, acquiring international distributors, and participating in regular blog hops. And when I "Dream Even Bigger," I think of things like going to Quilt Market, writing a quilt book, and buying a longarm machine. If there's one thing I've learned this year, it's that what seems like a big dream one day, can become achievable overnight! Then it opens the door to an even bigger dream that you didn't even know to dream! Here's to 2017! I can't wait to see what we all create this year! Nicely written. You have done a great job of expressing how important it is to set goals and hope for even more. Anything is possible. You are inspiring. Love it! Can't wait to see what your even bigger thoughts and dreams bring about this coming year! It will be great. Very empowering! I like your theme of 'Think bigger and Dream bigger'. 2017 will be a great year for you. Thanks. What a fun theme! I love the idea of Think Even Bigger. :) Good luck in 2017! I love your theme of thinking bigger. It's very inspiring. Those are big dreams, but they are definitely achievable. I wish you much success and growth in 2017, and thank you so much for linking up. I love the title of your website...I just had to read your wisdom. Good luck in your bigger endevours. I too way surpassed my quilt count, kinda surprised myself. Not sure if I will be on the same finishing track this year but it is all about the journey, not the finish line. 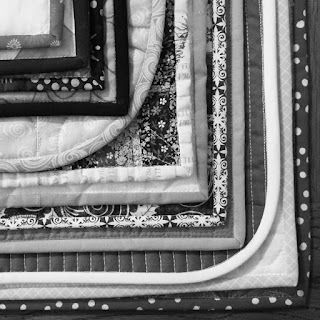 38 quilts...wow! Congratulations on blowing that goal right out of the water :) I love the Think Even Bigger theme and it will be fun to see where it takes you. Thank you for showing us how you've incorporated the Think Bigger theme into your personal goals as well. Bringing it full circle and continuing into 2017 serves as an inspiration - kudos to you! Well done - keep dreaming big!